Discover the 10 steps that will help you understand what’s required to influence Google rankings within your content. Your content is going nowhere unless people can search for and find it, so content should be written with an understanding of factors such as SEO and aimed at the right audience groups. 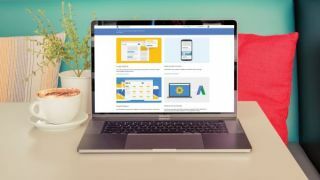 The steps below will highlight how to drive more traffic to your site, building a connection between your brand and your audience. By the time you have finished reading this tutorial you will have a better understanding of how you can ultimately improve your rankings amongst the competition, boost your visibility and capitalise on the right audience through your content. Google Calendar is a great place to start when looking to create an editorial plan. Creating an editorial calendar enables you to prioritise your content tasks, getting into a cadence with your blog-publishing and social activity. More importantly, it keeps your audience engaged by preventing your content from stagnating or being repetitive. Organisation is absolutely crucial for success, although your content plan won’t always be easy to stick to. Start by setting up a calendar, then brainstorm ideas: what questions can you answer? What themes are relevant? How can you inspire? Break down your content into social posts, blog posts, onsite copy, referrals, video and so on. And layer on top of this your promotion, since content rarely succeeds on its own, and plan your frequency: daily, weekly, monthly. Personas and user stories will help with content and, in turn, SEO. The focus of your content should be aimed at the audience group that contributes to the success of your business. Content will therefore be different based upon where the user is along their journey. A first-time visitor, for example, has no loyalty to the brand; hence the focus should be on inspirational content to convert – content and metas – and brand values to nurture. Existing clients, meanwhile, have a different set of priorities and needs, so content needs to be served differently. Nurturing them, encouraging advocacy and facilitating the ability to upsell are the keys in driving both customer satisfaction and further sales. Look at your competition and take inspiration from it. By reviewing the top performing organic content around your targeted keywords, you can take advantage of what works and then replicate it. Understanding the competition’s focus on content and keyword terminology will also help you to close the gap between those terms you're not taking advantage of, and ultimately increase the amount of traffic coming to your own domain. Spend some time on Quora since it will highlight how people speak in their niche communities. Google's 'hero, hub, hygiene' approach is based on three types of content and offers a useful framework for an effective content strategy. Here's how it works. 70 per cent of your content should be specific to your business vertical and services (hygiene) because your audience needs that information to convert. It’s your day-to-day, always-on messaging and includes industry news, reviews and offers. 20 per cent of your content should be inspirational (hub) so that your visitors share it. It aims to develop a shared passion between you and your audience, keeping them coming back for more. You can do that by creating unique content that exceeds your visitors’ expectations. Think of inspiring solutions, solving problems and answering the ‘what’, ‘why’ and ‘how’ of your business, and how it can best serve your visitors. 10 per cent of your content should be risky enough that it scares you a little (hero). It can attract enormous numbers of visitors, and you'll need to invest a lot of time and effort into it. This may be content related to the most important event or product launch of the year. There is no point in creating content if no one can find it. An easy way to ensure the success of your content marketing efforts and improve the search ranking of a particular post is to optimise the on-page elements by applying key SEO techniques. None of your content is going anywhere unless people can search for it and find it, therefore content should be written with an understanding of SEO goals. This includes a healthy solid foundation, content on the website targeting the right keywords and relevancy within the metas, such as: title tags, headers, meta descriptions, image alts and a good URL structure. With these working together you will be able to rank for the right keywords, with visitors that actively convert, since the success of each depends on the other. Link building has always been key to climbing that Google rank. Internal links help search engines identify the site’s most important content, provide context and help your audience by directing them to the most relevant pages. Make the most of anchor text within your links, with variations of your target keywords to boost rankings. The number of backlinks (incoming links, directed at your website) is another positive indicator to search, in particular websites that carry similar content (topical relevance). Start link-building both internally and externally with your best content to improve ranking. Blog pages are a great opportunity to create keyword-rich content. Incorporating a blog into a website can have a huge impact on the overall website’s search engine rankings. Not only does it add keyword-rich pages, but it also increases the potential for incoming links from high-quality websites, as well as advocacy from your audience as they share that content with their networks. Aim for original and high quality content, since this will go a long way towards satisfying both the needs of your audience and the search engines. And remember, given the number of distractions that your audience faces daily, strong headlines are key to encouraging their inspiration to click within a crowded marketplace. You can achieve this by understanding your audience’s pain points. Solve their problems in a way that seems tailored to them, and give them both actionable insights and inspiration. Images and video are now a mainstay of any reputable website. Visual content – such as images, video and infographics – can be a very powerful tool for any brand looking to communicate more effectively with its readers; especially since it can have a very positive impact on your brand’s reach, engagement and sales. Start by splitting up body text with compelling imagery (include image Alts) to encourage your audience to finish reading and boost your search engine ranking. Infographics also help to collate content into compelling and easily intelligible visual displays. Your site visitors will also expect you to offer video content. Show your personality as you connect with them while providing information that meets their needs. How-to videos, demonstrations and customer testimonials are all opportunities to consider. Social promotion is one way to reach audiences and engage with them. Paid traffic that offers immediate results: Focus on the content synergy between advertising text, landing page copy and SEO metas. This will improve placement, by improving the quality score. Social media that offers great brand awareness: Review your brand guidelines, tone of voice, targeted demographic reach and audience needs and wants. Influencers who can share your content and increase your outreach to engaged communities: Understand where your audience is and let them know you exist. Learn from your successes and failures with careful analysis. Assess both the positive and negative metrics within Google Analytics, continually evaluating your content’s appearance in search and how users ultimately interact with it. Build on the positives; learn from the negatives. This includes ‘soft’ metrics that are focused on measuring engagement, interaction and brand awareness. Look for bounce rates (high and low), time on page (high and low averages) and page views (in particular, redirection). And ‘hard’ metrics, such as lead generation, shares, the number of people added to your list and sales impact. The aim is to continuously learn from each content creation, setting and reviewing goals for each, and remaining agile. This article was originally published in issue 269 of creative web design magazine Web Designer. Buy issue 269 or subscribe to Web Designer.